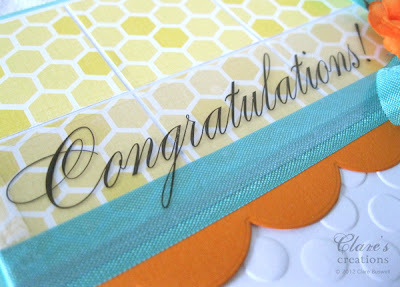 I kept the squares pretty subtle using the same patterned paper from Echo Park Country Drive and just paper piecing them. 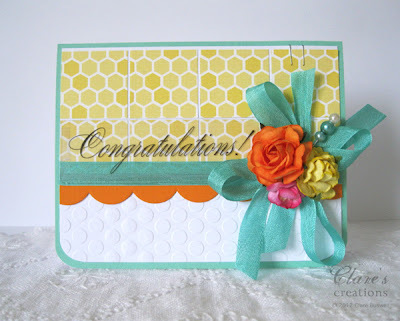 I used the gorgeous 'Congratulations' sticker from Fancy Sticker Sentiments - Baby by SRM Stickers. Can you tell I love these fancy stickers! : ) I added it to some acetate. The scalloped border I die cut using Spellbinders Edgeabilities Classic Scallop. 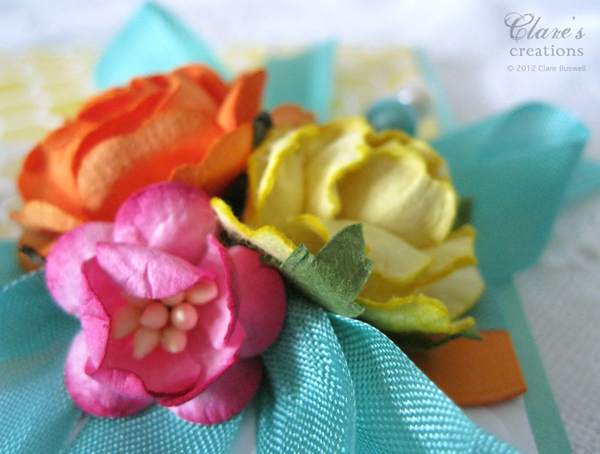 The colorful flowers are from Wild Orchid Crafts. The turquoise seam binding is from my stash. I was a little braver in my color choices, I'm using more photos as inspiration now, mainly from Pinterest. It's such a wonderful source of inspiration, especially if your mojo's gone walkabout! The turquoise and off white pearl trinket pin I made, I'll be adding a few extra ones to my Etsy shop later. I have some nice black and off white ones too. 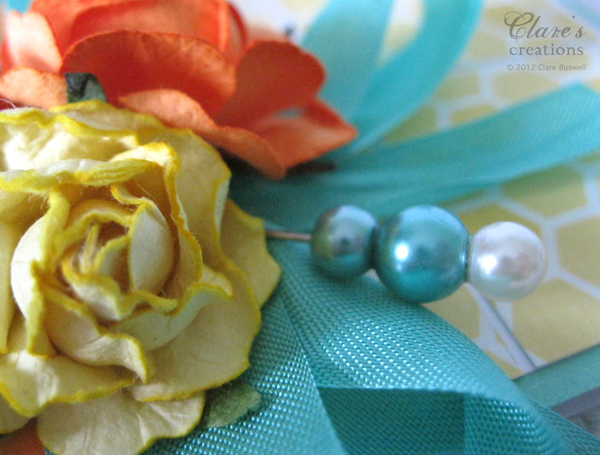 Love love love that colorful scrunchy bouquet! Such a fabulous card. 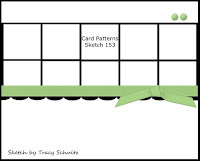 Way to work the sketch. Divine! 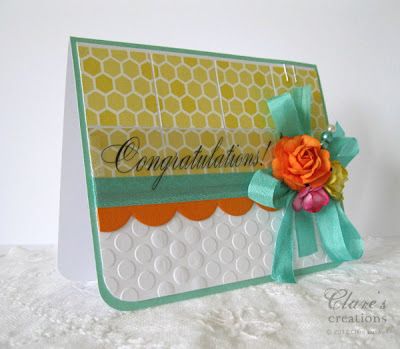 Beautiful card Clare, the colours are so fresh! Ooh, gorgeous colors! A beautiful use of the sketch, and I love that fancy script sentiment. I love love this color combination. Totally caught my eye. 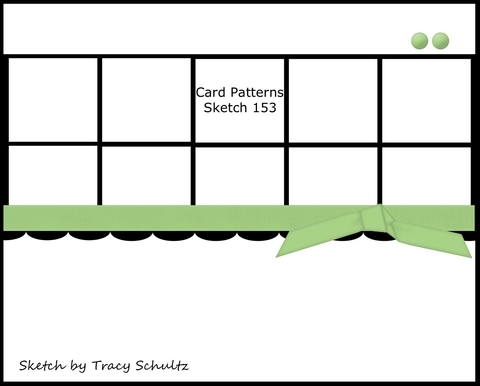 Just might be "lifting" the colors or heck the design of the card...totally cute (if that is alright with you)!! Fabulous card Clare! Love the colours and the flowers and pretty ribbon bow. TFS!